In three recorded sessions, a team from JLL Chicago discusses the genesis of what became known as “Project New World,” shares particulars on a rigorous, fast-paced site search, and reveals the factors that finally separated Huntsville from other suitors for a joint Mazda-Toyota manufacturing plant. 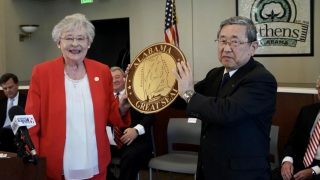 Claiming one of the most coveted industrial prizes in years, a 2,000-acre site in North Alabama will become home to a sprawling assembly plant with 4,000 workers producing 300,000 vehicles annually. 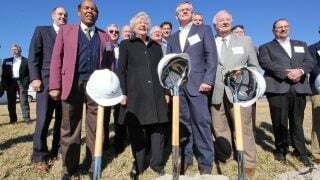 Site preparation has been under way for some time in Huntsville, and the automakers celebrated the official start of the construction project with a ceremonial groundbreaking on Friday. “Huntsville was ultimately selected because they were ready, willing and able. The site shows years of thoughtful preparation, and the city has ample advanced manufacturing expertise,” JLL notes in a project profile. The massive project, however, didn’t actually start out with that scale. At first, its secret code name was “Project Mitt,” and it involved only Toyota. The JLL team began examining sites spanning 500 to 1,000 acres, but the game changed when Mazda joined as a partner. “That scope became much larger. We covered a lot of ground in terms of states that could qualify, although once Mitt became Project New World, several states were eliminated due to the scope and size of the project itself,” Meredith O’Connor, a JLL international director, says in the podcast series. Throughout much of 2017, O’Connor and her JLL colleagues worked closely with Mazda and Toyota on the search, narrowing down a list of possible sites that originally numbered 300. There were many factors to analyze: workforce, operating environment, site specifics, logistics, incentives and quality of life, among others. The team had to move quickly. The Mazda-Toyota partnership wanted its new plant to be up and running by 2021, an ambitious timeline for a project of such magnitude. “Before our first flight was booked, we made sure we understood what was important to our clients – Toyota and Mazda – from site specifics to the softer requirements of cultural fit and others,” says Christian Beaudoin, JLL’s director of research. Beaudoin says the team’s “high-level screening model” aggregated more than 100 data points about individual sites and provided a ranking. Ultimately, the team embarked on site visits that took them to 20 states in just six weeks. Engineers from the automakers joined them on “operational tours.” They viewed sites from helicopters. The team talked to human resources managers in cities to get a true sense of the labor market there. They explored whether there was a Japanese school nearby and sampled dishes at local Japanese restaurants. The list of potential sites was dropping fast, as economic development agencies struggled to meet requirements that seemed off the charts. “I think we all got the same types of calls from individuals saying, ‘Are there too many zeros in this column? If you just removed one zero, it made sense to them, but in some cases, there were two extra zeros. It was just things they had never seen in their career,” O’Connor recalls. As 2017 wound down, only two sites remained – the one in Huntsville and another in North Carolina. 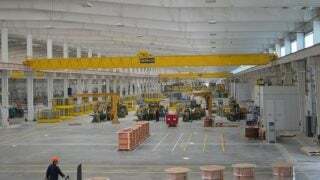 The JLL team recognized that Huntsville offered many advantages. The site was already assembled, and it offered a large buffer zone so the plant could fit in harmoniously with the community, the JLL team says. Plus, Huntsville’s economic development specialists were responsive 24/7. “There were days where we worked 18, 19 hours when we got down to the end of this. They never wavered. They were with us. They didn’t care what time of the day it was,” O’Connor says in the podcast. Alabama’s extensive auto industry was a positive. 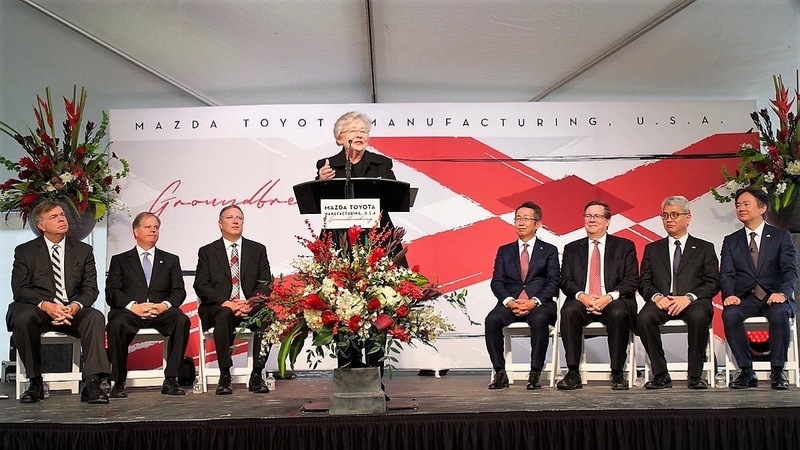 On Jan. 10, 2018, Mazda Motor Corp. President and Chief Executive Officer Masamichi Kogai and Toyota Motor Corp. President Akio Toyoda were together in Montgomery to announce the outcome of the “Project New World” site search. 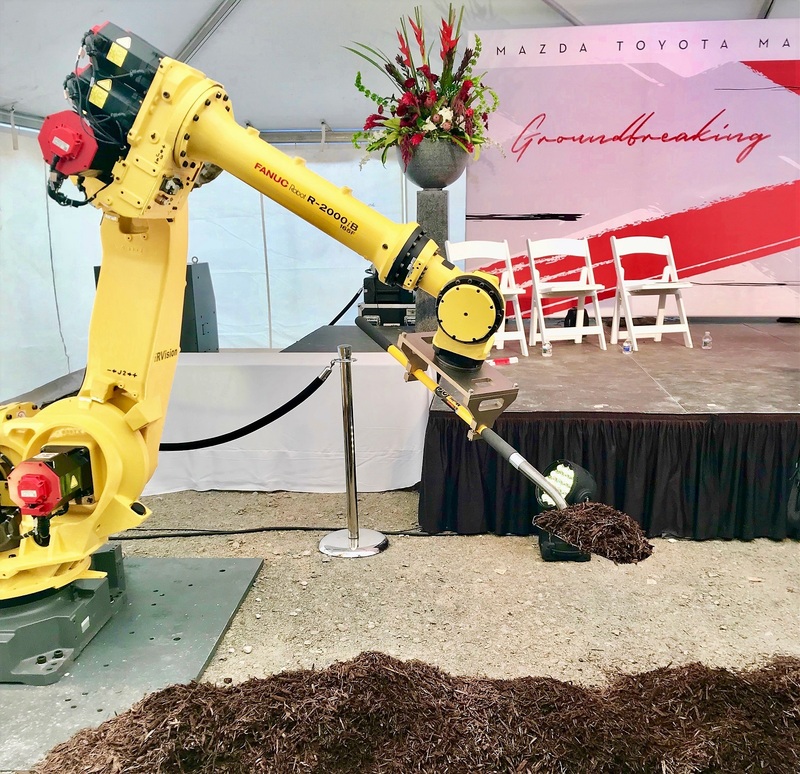 Ghafari Associates, which is providing comprehensive architectural and engineering services on the construction project, said plans call for the Mazda-Toyota complex in Huntsville to span 6 million square feet. The campus will include a press shop, welding shop, paint shop, general assembly facility, test track, ancillary support building and an administration building with offices, locker rooms and cafeteria.